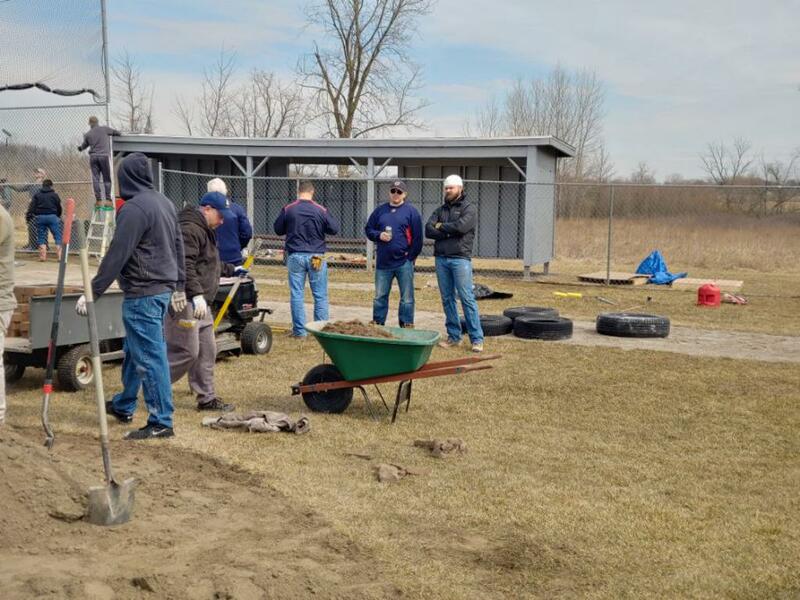 It was a good day yesterday at Angels Field for field clean-up. The field looks impressive. 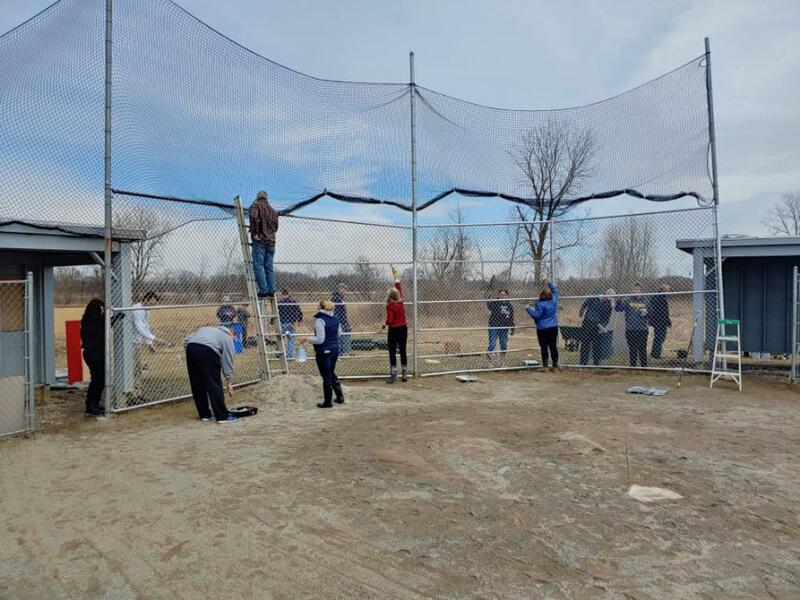 They were able to paint the backstop and you can see it shining from 23 Mile Road as you drive by. 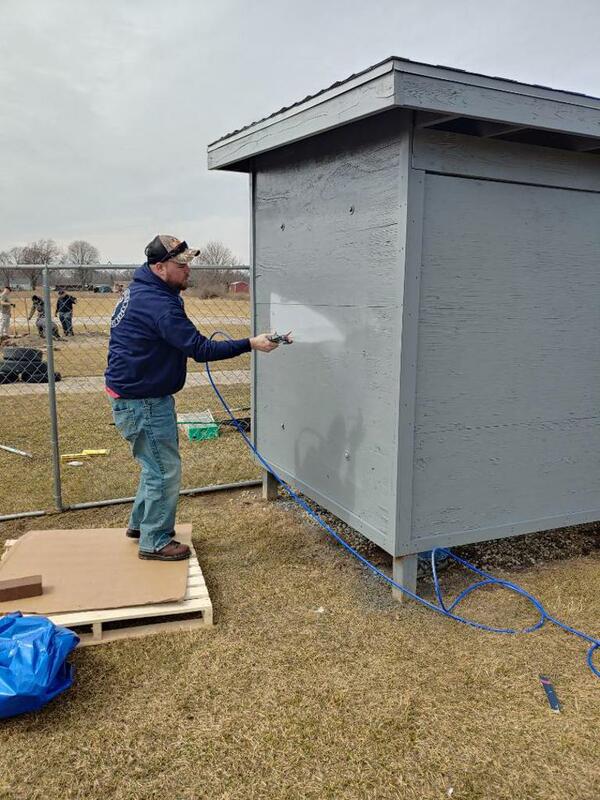 They also painted the dugouts, put clay bricks in the mound to make it more sturdy for the pitchers, fertilized the grass, dragged the infield, weed wacked around the fences and dugouts, re-positioned the helmet and bat boxes. 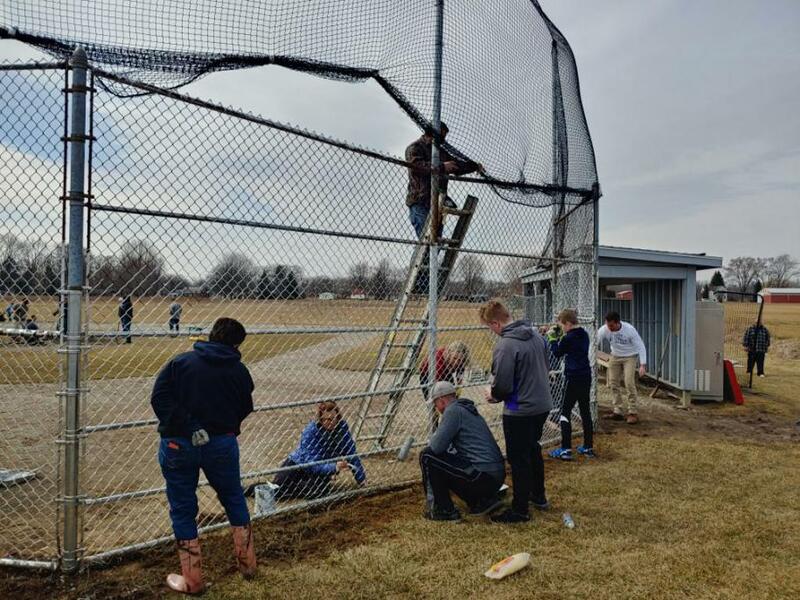 We would like to thank all of those people that came out to help kick off the start of our season by making these improvements to our field. We appreciate your efforts. If you were unable to make it yesterday, there are still 2 more days that you can help. We will be at Angels Field again next Sunday, March 31st. 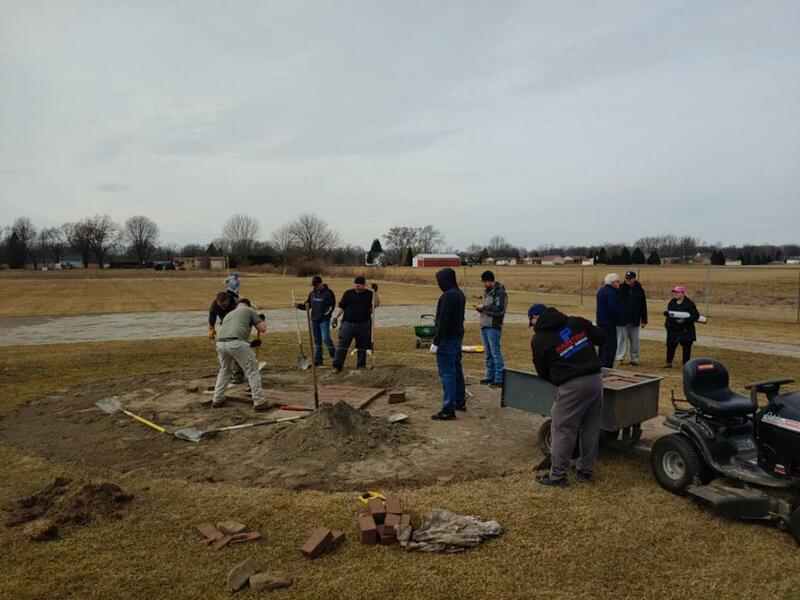 We will be installing the outfield fence for the season. We could use some helpers to hold up the fence and drill holes for the support poles. Also, April 27th we have clean-up day at Festival and Maynard Parks in New Baltimore. 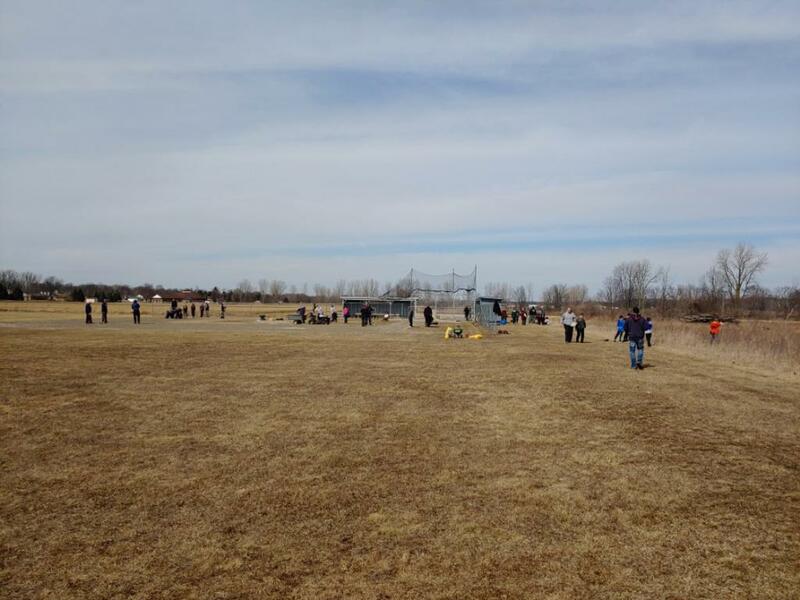 For this date, we get credit to offset the field rental costs based on the number of people that show up. 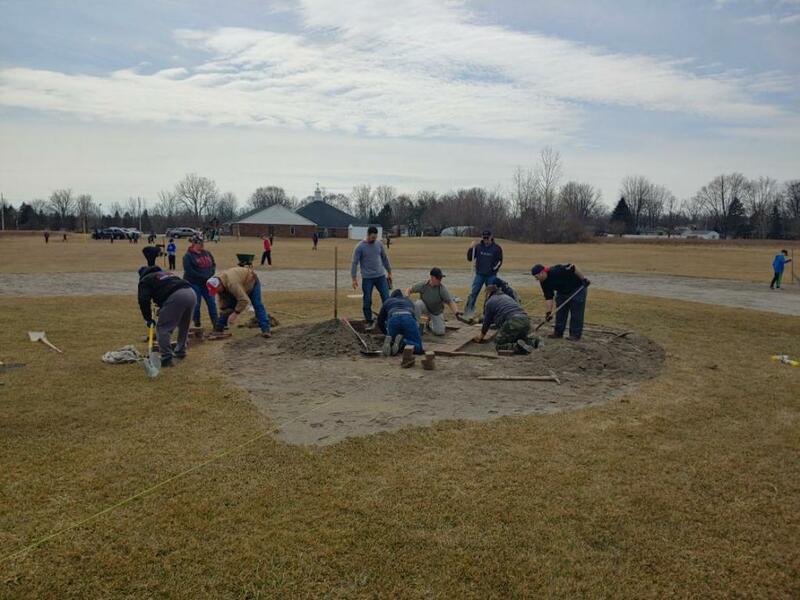 The 15U Baseball teams will be at Maynard Park fixing up the field they will be playing on, while we need some of the other teams that will be using Festival to help us there with building dugouts, picking up garbage and leaves. Any and all help is greatly appreciated in the New Baltimore community.